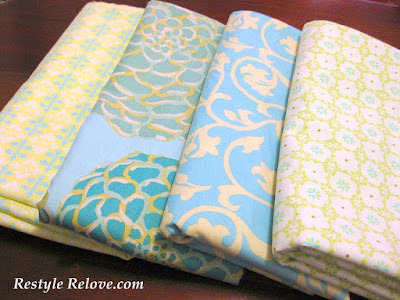 I these are the fabrics I chose. I decided to stick with a basic square design. 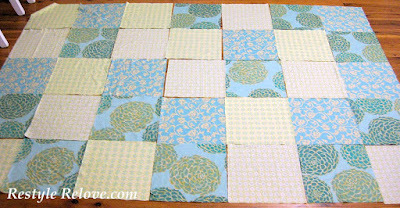 After cutting them out I laid them out on the floor in a pattern that I was happy with. And then sewed all the squares together. 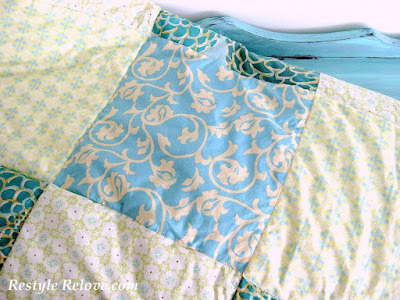 I added a layer of of batting, and then added another layer of floral fabric for the back. 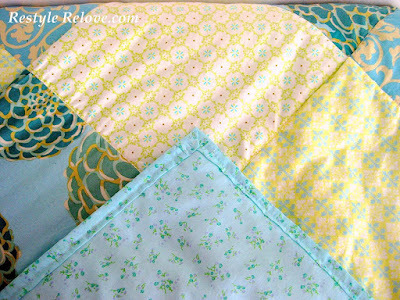 I made my own bias for the edging from the backing fabric. It's super light but really soft and cozy. Although it's not perfectly square and has a few sewing lumps and bumps, I think it turned out great for a first attempt. Beautiful work on your lovely quilt. 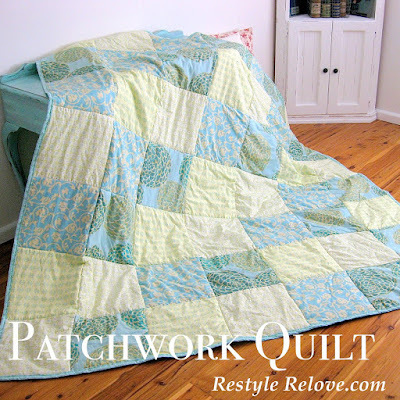 Ni have never quilted but my mother has made several. I'm so loving your quilt and the colors are so pretty. It will look cheery in your room all the time with it. I've never made a quilt and I have no excuse, I even have my Mother's quilt rack to make one on. If I could do half as well as you did I'd be happy. You should be very proud of yourself. Enjoy your hard work. 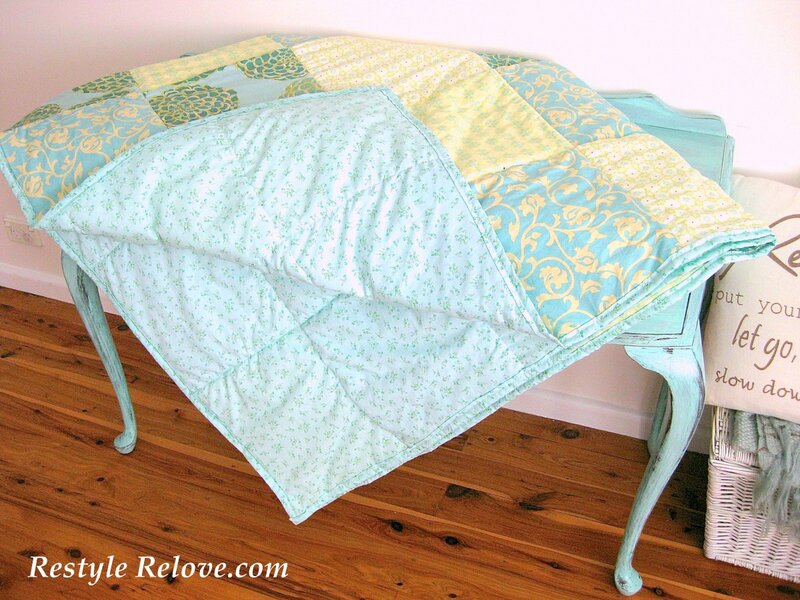 Wow, your quilt is gorgeous. I love your choice of fabrics & colour scheme. I'm sure your bedroom will be beautiful. 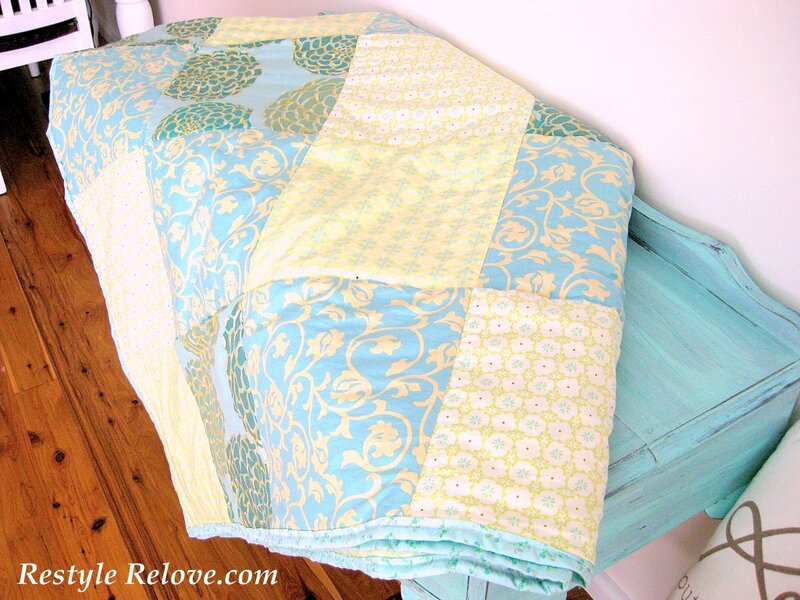 Congratulations on making your first quilt! It is beautiful. 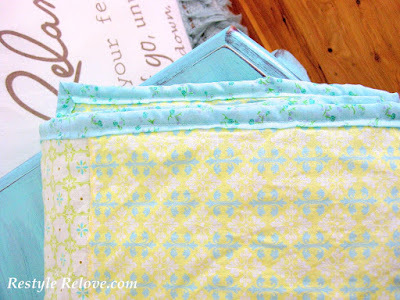 I love the colors, fabrics and patern you have chosen. 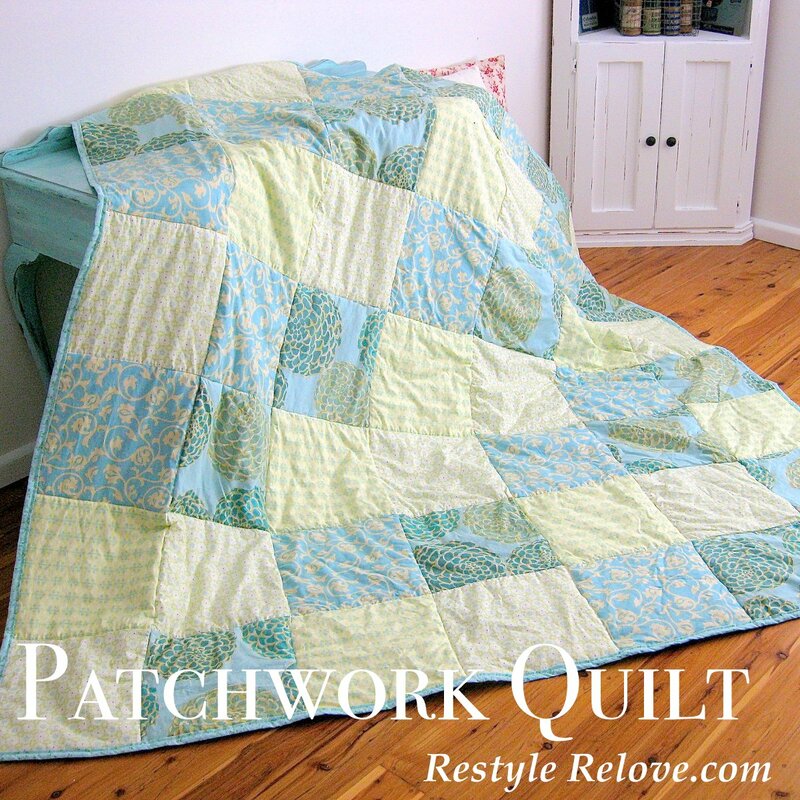 I have always wanted to make a quilt but it seems so daunting. I give you a lot of creditor doing it! I hope you cherishit for years to come and smile every time you see it. Your quilt is beautiful and the colours are so lovely. I love quilting and while I am not an expert, your first attempt looks great. 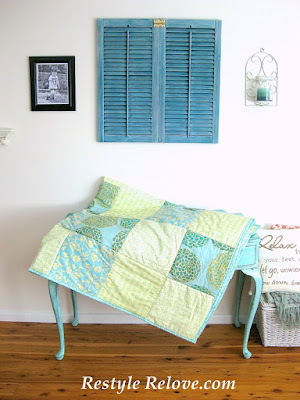 It goes so well with the peek of colour from that table. 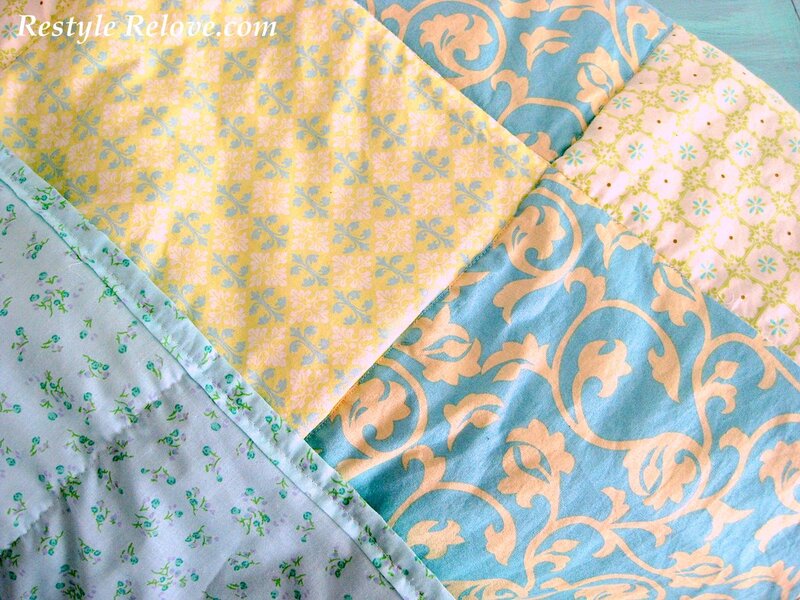 The colors are so soothing and I am inspired that I might one day actually complete my first quilt. I started one years ago and have been trying to work myself back into doing a new one. This looks so sweet. you should be proud!